Construction has been underway for the Robarts Common, the expansion of Robarts Library that is expected to add 1,200 study spots to one of the largest buildings on campus. The five-storey project aims to add more study spaces to the library, which will raise the number of spots in Robarts to 6,000. In addition, as part of the Robarts renewal initiative, the entire building will have wireless printing. Though the Robarts Common will be accessible from floors two to five inside Robarts, it will differ aesthetically from the main building, as its design features a glass exterior allowing in more natural light. A fundraising campaign for the project attracted donations from more than 1,000 individual donors. Construction on the project began in the summer of 2017. A steel structure is currently being constructed on the north side of the library, where work will continue for a month before a similar structure is built on the south side. The library has not undergone any major projects since 1973, when construction on the building ended. The expansion is projected to be completed this fall. The new space is planned to officially open in 2020, but a more specific date has not been set yet. As most construction will take place outside of Robarts, no study spaces will close and there will be minimal disruption during construction. Construction is underway all across the University of Toronto’s St. George campus. Many of the universities old buildings are being renovated, while new buildings are going up. Here is a summary of all the major construction projects taking place on campus. According to U of T Magazine, Robarts Library sees as many as 18,000 visitors per day. Despite its massive size, U of T’s marquee library does not house enough study carrells to keep up with the demand. The Robarts Common will be a five-storey glass structure connected to the main library, adding about 1,200 additional study spaces, bringing the total number of spaces to roughly 6,000. Ramsay Wright Laboratories has been undergoing a series of renovations. The date for when that can be expected is unknown, but in 2014, The Varsity reported that renovations would be completed by April 2017, although they are still underway. A 2014 report on the renovations explained that the renovations are largely based on creating functioning laboratories that have longevity. Various science-based programs are being forced to move equipment between the labs in the Earth Sciences Centre and Ramsay Wright, and the renovations seek to remedy these issues. Through transparency and collaboration, the Faculty of Applied Science and Engineering has involved the campus in the construction of its new home. The process of creating the Centre for Engineering Innovation & Entrepreneurship began in 2008. Select building elements that used to stand at the site were demolished in 2015, and the official groundbreaking took place on June 24, 2015. Construction of the CEIE is slated to be completed in 2018. Some of the CEIE’s highlighted features include space devoted to student clubs, multidisciplinary research hubs, a dedicated alumni meeting space, eight design studios, and new prototyping and fabrication facilities. It boasts a brand new auditorium, the Lee & Margaret Lau Auditorium, which is set to be “a 500-seat interactive space meant to optimize audience engagement.” Each of the spaces has a unique and innovative design. During Daniels Orientation and with the start of classes, the building has already begun hosting students. We’ve all passed by Shawn DeSouza-Coelho at some point, but who is the budget poet, really? But DeSouza-Coelho is so much more than that: poet, actor, entertainer, writer, and above all, artist. When he’s not at his poetry stand, he works as a magician specializing in mind reading. He has written the novel MetaMagic: An Introduction and has another book on the way. In April, DeSouza-Coelho will be hosting a TEDx Talk before gearing up to travel around southern Ontario with a theatre production. Originally from Toronto, he attended the University of Waterloo for his undergrad. Initially, he was to complete his graduate studies at U of T but instead opted to return to his alma mater. 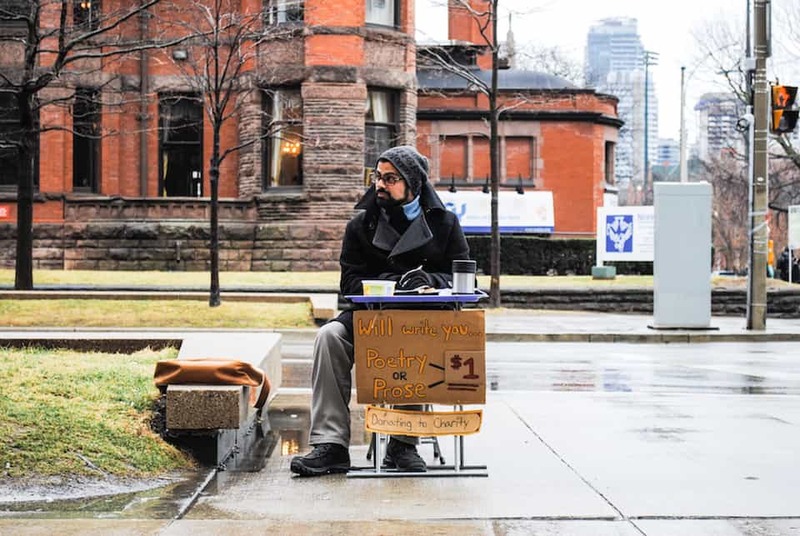 Now, he finds himself back at U of T and situated at the epicentre of the campus and offering words of inspiration during exam season. The second phase of the Robarts renovations and expansion project is scheduled to begin this March. The project, which consists of the construction of an additional five storeys of study space, is expected to be completed by the spring of 2018. The library currently attracts around 18,000 visitors a day, twice the number recorded in 1980, making a renovation long overdue. This is the 42 year-old library’s first extension. The first phase of the construction took place from 2008 to 2012 and consisted of the renovation of the John P. Robarts Research Library. New special collection areas were created, such as the Data, Map and GIS Centre and the Media Commons. The study space was refurbished and expanded, and the electronic infrastructure updated. 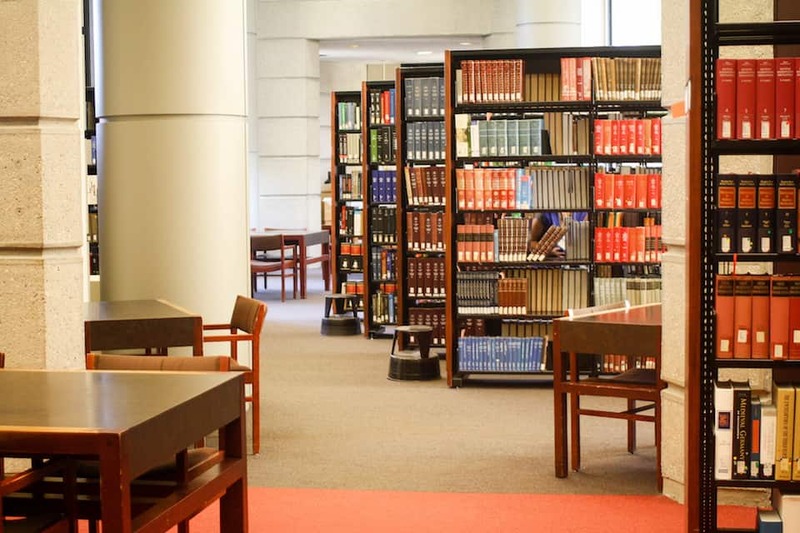 According to Althea Blackburn-Evans, director of news & media relations at U of T, the project will create an additional 1,222 study spaces, increasing the library’s capacity to 6,027 seats. Prior to the 2008 renovations, the seat count was 2,600. The expansion will amount to an additional 56,000 square feet over five storeys. The majority of the funding for the project comes from Drs. Russell and Katherine Morrison, who provided funding for Morrison Hall, the addition to the Gerstein Science Information Centre, and the Morrison Pavilion. Other financial support has come from public funding from the province, libraries, and individual donors. The university has been raising funds for the revitalization since 2008. Blackburn- Evans said that the renovation will create minimal disruption to students, with much of the construction-taking place on the side the building facing Huron Street; no study spaces will be closed during renovations, she said. The Robarts Common will include an open square that will allow students to study outside in the warmer months. The square will feature seating amongst the cherry trees. The common is designed with sustainability in mind, and will include a green roof, rainfall recycling systems, and low-emissions building materials. These aspects of the design will earn a silver rating according to the Leadership in Energy and Environmental Design. A mix of quiet study areas and areas for group work will also be created. Thirty-two meeting rooms will be added, many complete with display screens and loudspeakers. The addition is helmed by Diamond Schmitt Architects who intend to integrate the original Brutalist architectural style. Wood accents and wraparound glass will be included in an attempt to give the library more warmth and light. The glass walls will be equipped with light-sensing motorized blinds. The expansion project is one of several initiatives central to the campaign goal of $65 million to refurbish the Gerstein Science Information Centre as well and the Thomas Fisher Rare Book Library. Robarts cherry blossoms. CC Flickr by Eric Parker. In preparation for the Robarts Common construction project, the beloved cherry blossom trees behind the library will be leaving their home temporarily. PAO Horticultural, a nursery located in Hornby, Ontario will relocate and replant the 32 trees that surround the library. This project began on November 12. The trees were a gift from the Consulate-General of Japan in Toronto, planted on October 12, 2005. The gift was part of the Sakura Project, an initiative to strengthen diplomatic ties between Canada and Japan that spanned from 2000 to 2012. Within that time, 3,082 trees were planted in 58 locations across Ontario,paid for with about $83,000 from public and private donations. Both UTSG and UTSC were gifted with the cherry trees. According to Carliner, the trees will return to Robarts by 2018 once the landscape project has been completed. He did confirm that the number of trees planted at Robarts after the construction work will stay the same. The construction occurring at Robarts is the second phase of an expansion project that has been in the works for years, although the details have changed and been reworked throughout the years. The $74 million project aims to alter Robarts’ looming, brutalist facade. The first phase focused on improving the quality of study spaces and implementing new infrastructure. The upcoming construction project will include an additional 1,222 study spaces to accommodate the growing student body, bringing the total number of study spaces to 6,027. The face of Robarts will soon become the Robarts Common, a five-storey glass pavilion facing Huron Street. The project, headed by Diamond Schmitt Architects, is expected to be completed during the 2017–2018 academic year. 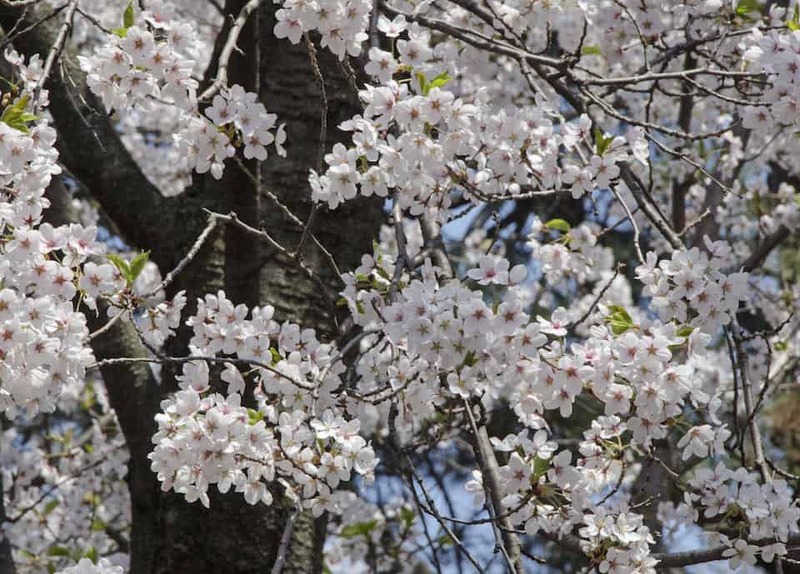 “With the cherry blossoms unavailable for the upcoming spring, Robarts will be missing what is seen as an “annual U of T tradition,” said Carliner. This is a sentiment echoed by Sarah Fellows, a first-year English student, who feels that taking the trees away amounts to taking away a part of Robarts. Fellows expressed that the trees acted as a great de-stresser and a great option for those who wanted to study outside. Darren Cheng, a fourth-year neuroscience student, said that he has faith in the administration’s goals for the construction. He articulated that so long as the additions are designed with the students’ well-being in mind, he is okay with them. Cheng expressed a hope that the additons will improve the space.